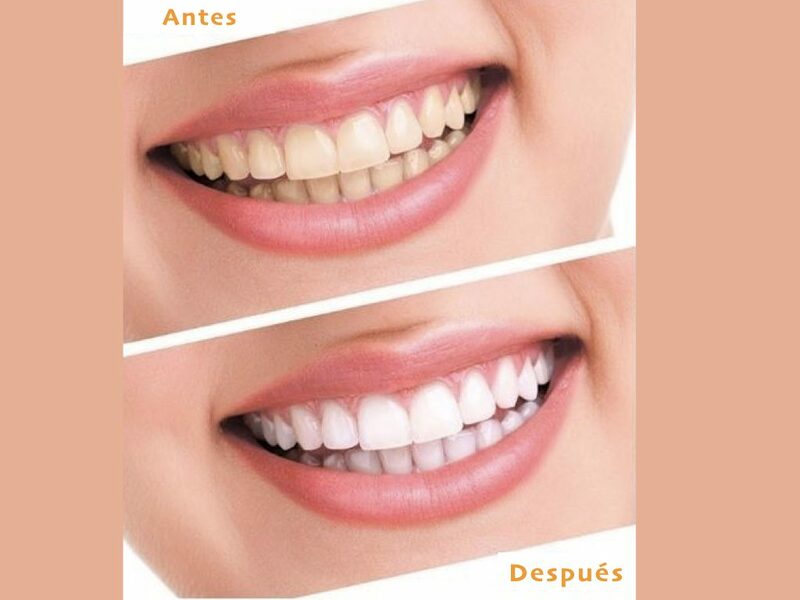 In the modern and civilized world, white teeth, well contoured and aligned establish the pattern of beauty. The teeth, not only indicate beauty, but also nutritional health, self-esteem, pride in hygiene and even economic status. Likewise, teeth often have a color or altered shape, substantially compromising the aesthetics. Therefore, a dental treatment that includes the clearing of the dental surfaces is highly desired. Although the clarifying process is complex, the vast majority works by oxidation, the chemical process by which organic materials are eventually converted into carbon dioxide and water. When some fabric is rinsed, it is slowly transformed into intermediate chemicals that are a lighter color because in each reaction oxygen is produced in large quantities that slowly removes the organic pigments. If this process is carried out for a sufficient period of time, it will result in the conversion of the organic materials into carbon dioxide and water. Chemically, double-bonded carbon compounds, usually pigmented yellow, are separated into simple bonds of hydroxyl groups (alcohol type) and oxygen which are generally colorless and this reaction is repeated each time hydrogen peroxide reacts with more oxygen. All this reaction is regulated by temperature, time and concentration. Thus, the higher the temperature, the longer the application, and the higher the concentration of the peroxide, the greater the oxidation and therefore the lightening effect. Hydrogen peroxide in concentrations of 35-40% is the material used for the office lightening treatment due to its high release of oxygen and hydroxyl groups which increases the oxidative process. Initially, ultraviolet light was used as a peroxide activating system but due to carcinogenic reasons of that light, the use of ultraviolet radiation was discontinued. Currently, white light of different intensities is used. These systems contain carotenes. These carotenoids are orange pigments that produce friction when white light passes and this friction increases the temperature by accelerating and intensifying the lightening reaction. The most recent systems come in two syringes that are mixed before being used to increase the life time of the material, because the hydrogen peroxide is unstable over time. After mixing, they can be used for up to one month after mixing. This system uses 10-15% Carbamide peroxide as an active lightening agent. These systems also contain carbopol, glycerin, sodium stannate, flavoring and some contain fluorides. It is performed by the patient but supervised by the dentist. Carbamide peroxide at 11 or 15% is decomposed into Urea (ammonia and CO 2 ) and Hydrogen peroxide H 2 O 2 (approximately 5.2%). Some contain phosphoric acid to accelerate the process, but by the presence of acid it is destructive to tooth enamel. Carbamide peroxide is accepted by the FDA as an oral antiseptic agent. Products containing 10 to 15% Carbamide peroxide and 1.5 to 3% Hydrogen peroxide are classified as category 1, agents that are generally recognized as safe and effective. This system uses a resilient acetate plate of 2 mm caliber which is thermoformed with vacuum on a type III gypsum model made from an alginate impression previously taken by the dentist. The bleaching of non-vital teeth is a conservative modality of aesthetic treatment for darkened teeth, regardless of whether the discoloration is associated with endodontics or not. 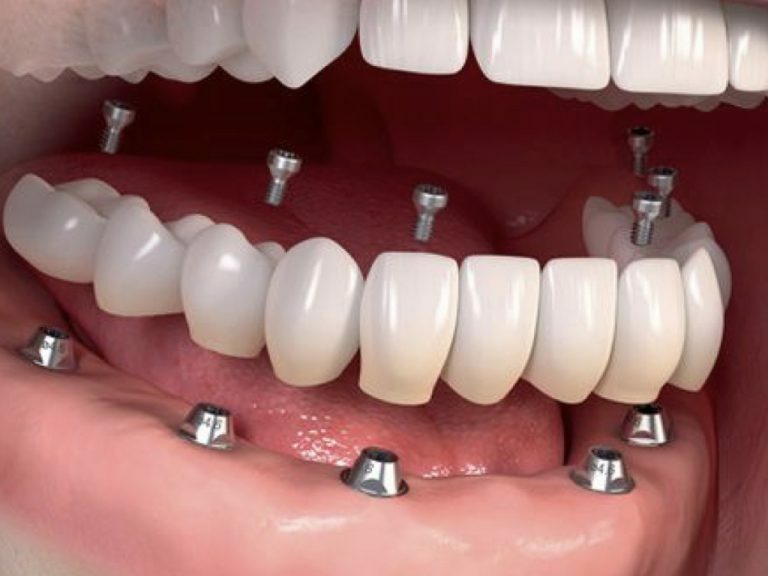 In any case, there are limitations to this alternative, which is only safe when specific indications are used and an accurate technique aimed at preventing side effects that are harmful to the tooth structure. 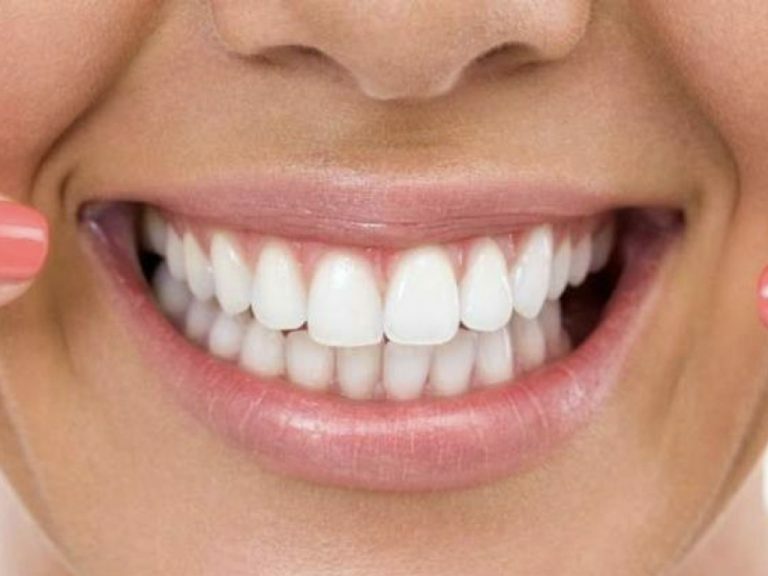 Some authors have reported the possibility of external root resorption in association with whitening treatments in which concentrated hydrogen peroxide and heat were used. For intracameral clearance, 35% hydrogen peroxide and sodium perborate are used, which are mixed to form a putty that is placed inside the pulp chamber of non-vital teeth. This solution is left inside the pulp chamber for 3 days and can be changed from 4 to 5 times. It is very important to seal the entrance of the root canal with resin-modified glass ionomer to avoid filtration of the clarifying agent to the periodontal and periradicular tissues, which can produce external root resorption. This technique is commonly known as “Walking bleaching”. Lightening agents penetrate the pulp through the dentinal tubules and have been shown to produce reversible pulpal inflammatory changes with Carbamide peroxide (Cooper et al). Different studies have shown that hydrogen peroxide or Carbamide peroxide can alter pulpal tissue cells but most of them have shown that these changes are completely reversible. Hydrogen peroxide attacks the enamel matrix producing changes in some of the constituents of its matrix. Rotstein et al evaluated changes in the calcium / phosphorus ratio in both enamel and dentin. Calcium and phosphorus are primary constituents in the hydroxyapatite present in enamel and dentin. They used 10% Carbamide peroxide and 30% Hydrogen peroxide for 7 days. They found significant changes in the calcium / phosphorus ratio of enamel and dentin. Changes in Potassium / sulfur in dentin. In addition, they found that H 2 O 2 affects only enamel and Carbamide peroxide only dentine and cement. Some fears of external root resorption have been generated in the presence of bleaching agents. Friedman et al, evaluated 58 devitalized teeth rinsed with hydrogen peroxide for a period of 1- 8 years and found that only 6.9% showed external root resorption. The possible mechanism of external root resorption is by diffusion of lightening agents through dentinal tubules of cement to the periodontal ligament. After two days of the lightening material present in the ligament, the dentine is acidic and it has been proven that osteoclasts and leukocytes work better in slightly acidic media, so they can generate an external reabsorption reaction. Therefore, it is very important to seal the entrance of the root canal with resin-modified glass ionomer that has chemical adhesion to the tooth structure, adequate physical properties and very low tissue irritation since the dentinal tissue does not have to be demineralized. Irritation of the soft oral tissues has been reported during the lightening treatment. Haywood and Howard evaluated the use of 10% Carbamide peroxide using a survey, and found that soft tissue irritation was more related to poor adaptation of the cuvette or poor quality of the cuvette than to the same material. Additionally, all these effects were completely reversible.